The falls are not natural: it was Roman Consul Curio Dentato who decided to direct the waters of Velino river down into the Nera River to avoid the creation of a swamp near the town of Rieti that caused malaria. You can admire the drops from two different main points: the Belvedere inferiore (lower outlook) and the Belvedere superiore (upper outlook): the first one gives you of view of the entire falls with its three drops, the other allows you to see the falls from above, especially the first drop. You can also admire the falls from different points, there are 6 trails that you can climb to get closer the drops. One of the most interesting is the Lovers Balcony (in italian Balcone degli Innamorati), a path that allow you to reach a wonderful point of observation, almost “inside” the first drop. We strongly suggest you to wear a raincoat, because you would otherwise be completely wet! You could spend the whole day in the falls area relaxing at the restaurants, bars and picnic area. We are sure that your family, even your petfriend, will have a wonderful time there! The waters of the falls represent an ideal source of hydro-electricity, so today are is diverted through a hydro-electric plant. This is the reason why you will not always find the falls open. The official timetable is available on the official Mamore falls web site. We suggest you: not to miss the trails in the falls area! They are really wonderful and you’ll have a great time there. So don’t forget to bring some comfortable shoes to walk safely and a raincoat. 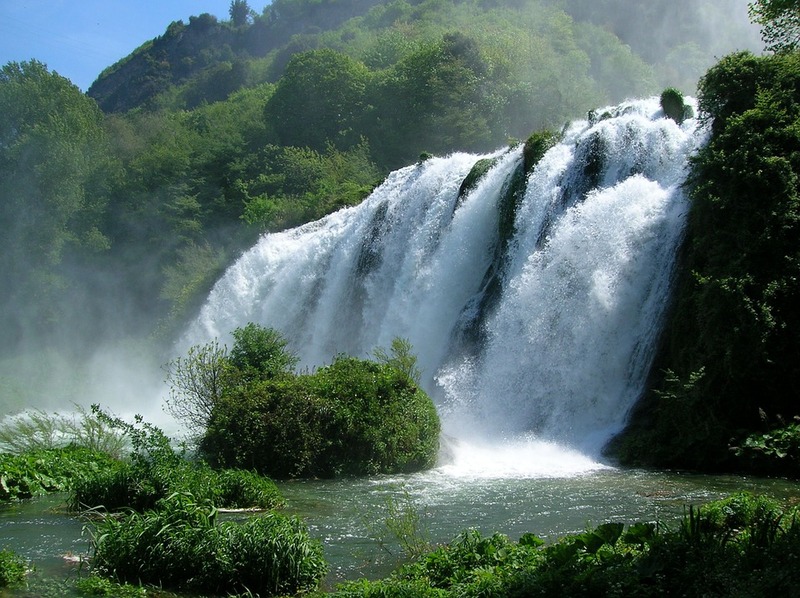 Marmore Waterfalls are only 6 miles away from Garden Hotel and you can reach the by car and bus. Our staff will be happy to help you with more information.